The effort to name the San Francisco-Oakland Bay Bridge for Emperor Norton is one aspect of the larger vision of The Emperor's Bridge Campaign. But it's the aspect that elicits the most questions — even from those who strongly support the idea. They are to be read from top to bottom. Each one builds upon the last. 1 >>> Emperor Norton (c.1818-1880) was a citizen of San Francisco who embodied and heralded the values of fairness, tolerance, self-determination and the common good that came to symbolize San Francisco, Oakland and the Bay Area. 2 >>> It was Emperor Norton who, in 1872, set out the vision for a Bay-spanning bridge linking Oakland and San Francisco via Goat Island (now Yerba Buena Island). 3 >>> The San Francisco-Oakland Bay Bridge (“the Bay Bridge”), which opened in 1936, is the expression of the Emperor's vision. 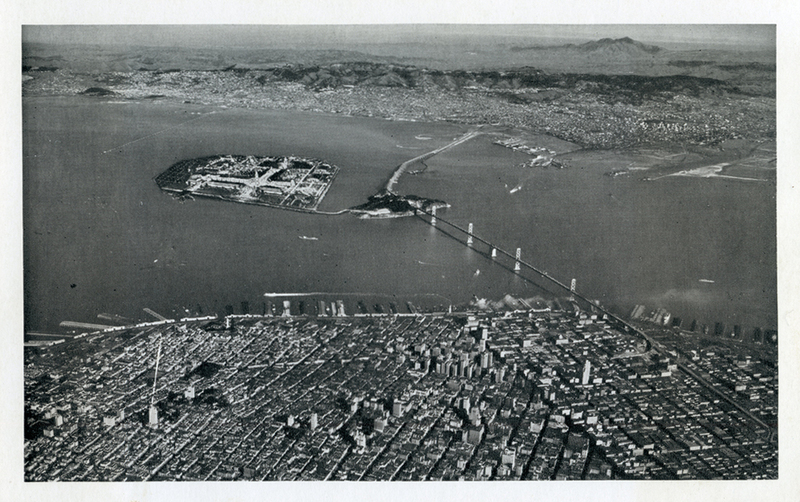 Indeed, the original plans for the Bay Bridge show the system comprising three basic components: the "West Bay Crossing," the "Yerba Buena Crossing" and the "East Bay Crossing." 5 >>> The euphemisms “Western span” and “Eastern span” reflect the reality that this two-bridged system always has lived in the hearts of the people as one bridge: "the Bay Bridge." 6 >>> Key to preserving the Bay Bridge’s legacy of greatness is preserving, in the public imagination, the fundamental idea of the Bay Bridge as one bridge that spans the entire Bay that separates Oakland and San Francisco. 7 >>> The National Park Service reinforced this in 2001, when it placed the Bay Bridge on the National Register of Historic Places (supporting document and photographs). In doing so, the Park Service recognized the entire Bay-spanning landmark — from end to end — as a unit. The State of California, through the California Department of Transportation (Caltrans), continues to separately recognize “San Francisco-Oakland Bay Bridge” as the "main title" of the Bay Bridge system as a whole. 9 >>> The Bay Bridge’s main title and any "subtitles" — including the Willie Brown naming — exist in parallel. These names are not mutually exclusive. They are not contingent on one another. And they are not in competition. The only way to propose a new honorary name for the "whole" bridge is to do so without reference to the "part." It is possible simply to add "Emperor Norton Bridge" as an honorary "co-name" for the Bay Bridge system — while retaining the longtime unofficial name, "San Francisco-Oakland Bay Bridge." The two names could exist in tandem. Not only should this approach have popular and political appeal. As a practical matter, it would enable all the existing highway signage for the Bay Bridge to remain, with new "Emperor Norton" signs only at the main approaches. 12 >>> The Bay Bridge can, and should, be given a name that honors Emperor Norton: the Emperor Norton Bridge. Of course, even with agreement to all of this, the rubber still has to hit the road. To return to the Overview of our bridge-naming project, click here.